Find hygge, hot drinks, "lawn" games, and more seasonal fun at these cool spots. By Jacqueline Cain·	 1/7/2019, 5:31 p.m.
Winter in Boston can be tough, even when there isn’t a foot or two of snow on the ground. But with amenities like hot drinks and cozy blankets, these seasonal, themed bars can help you weather any storm. 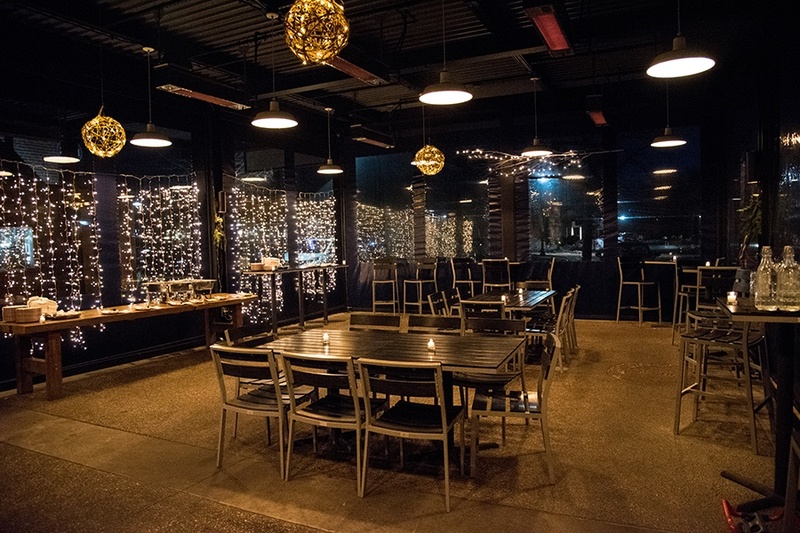 From a new beer hall in Roslindale to alpine-style lodges, glowing urban igloos, and more, these pop-up spots are heating things up in January, February, and even later into the season. Now, where’s the snow? 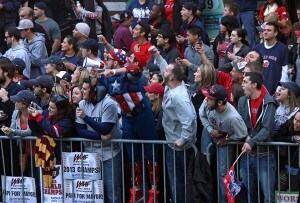 Note: Like everything in Boston during the winter, these pop-up bars are weather-permitting. Make sure to call ahead or check social media if the weather is inclement. 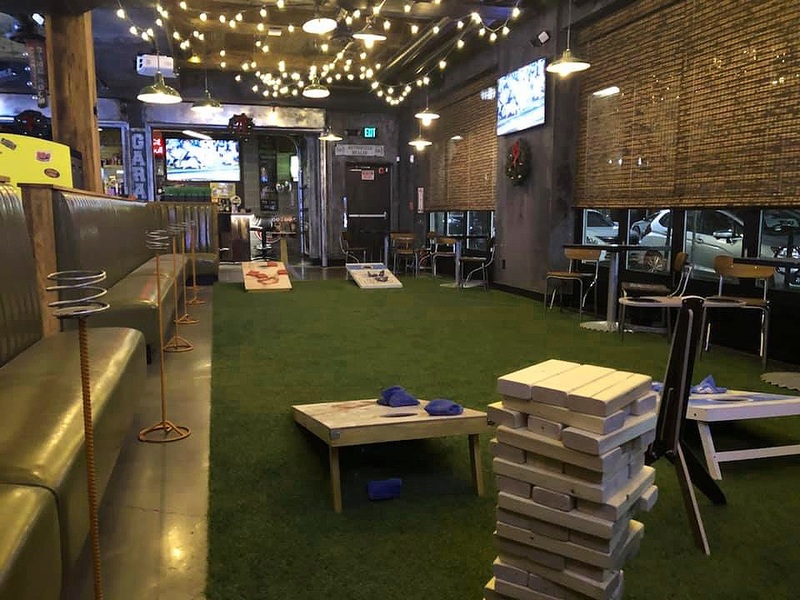 The Lawn on D is in hibernation during the colder months, but Backyard Betty’s is filling the void of lawn games in the ’hood during its first winter in South Boston. The six-month-old retro cookout-themed eatery has traded in its back dining-room tables for AstroTurf, giant Jenga, and corn hole. 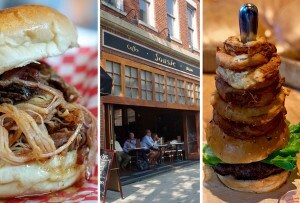 The “backyard” Lawn on Broadway is open through the season every Thursday-Saturday night. Alongside $3 draft beer specials, chef Joel Howard is serving up snacks like a $4 pulled pork slider; fried dill pickles with jalapeño ranch; and complimentary corn bread with maple butter with every food order. Thursdays 4 p.m.-1 a.m., Fridays and Saturdays 10 p.m.-1 a.m., 170 West Broadway, South Boston, 617-766-8955, backyardbettys.com. 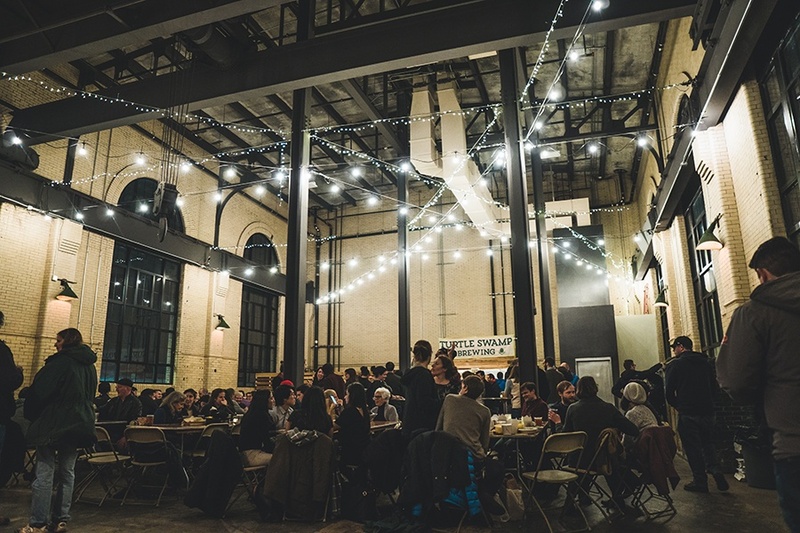 In late November, Jamaica Plain’s Turtle Swamp Brewing temporarily took over the main level of the Roslindale Substation (above Craft Beer Cellar) and is pouring pints every Thursday-Sunday through the end of March. At the Bierhalle, as Turtle Swamp calls it, drinkers will find a half-dozen house beers on draft, including a Rozzie-exclusive South Street IPA; plus guest pours from Westport Rivers Winery and other craft beverage friends. Turtle Swamp is working with Roslindale Village Main Streets, one of the substation property managers, to bring in local food options. The pop-up is an opportunity to let more people know about the little brewery in Jamaica Plain. “We are very much a neighborhood taproom,” cofounder and brewer Nik Walther says. “Expanding just into the next neighborhood, two miles away, we might reach a whole new set of customers.” It’s also welcome news for Rozzie residents no doubt awaiting their very own brewery, Distraction Brewing Company, to land sometime in 2019. Thursdays and Fridays 4-11 p.m., Saturdays noon-11 p.m., Sundays noon-7 p.m., 4228 Washington St., Roslindale, turtleswampbrewing.com. Wind down the week Italian ski resort-style with this weekly warmup. 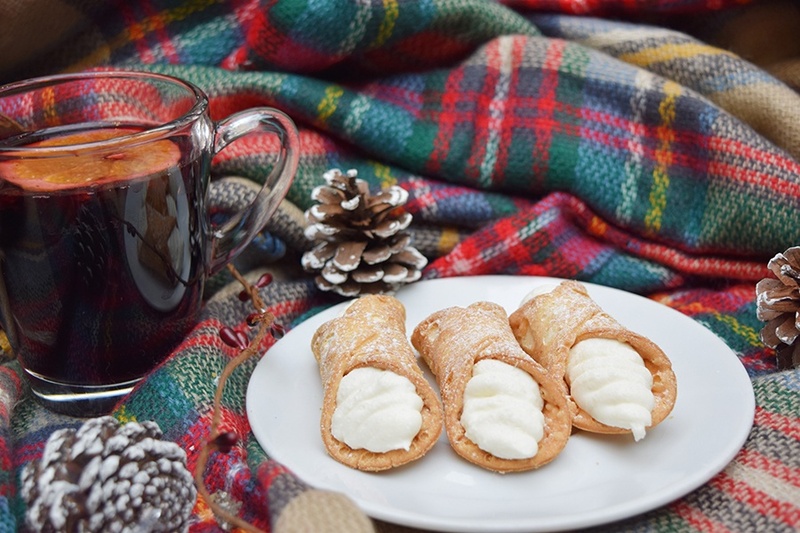 Every Thursday from January 10-February 28, head to Eataly Boston for après snacks and sips like vin brulé (a warm mulled wine from Piedmont), Alpine polenta, rustic sausages, and more. 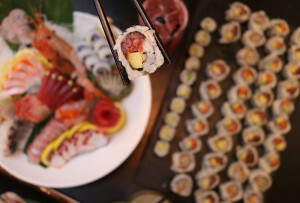 The a la carte options are purchased by $5 tokens; order as you go on the night of the event, or pick up a package of six tokens online ahead of time (each item costs 1-2 tokens). There will be a DJ in the house each week, and $1 from each vin brulé sold supports No Kid Hungry. Thursdays 5-8 p.m., Prudential Center, 800 Boylston St, Boston, eataly.com. 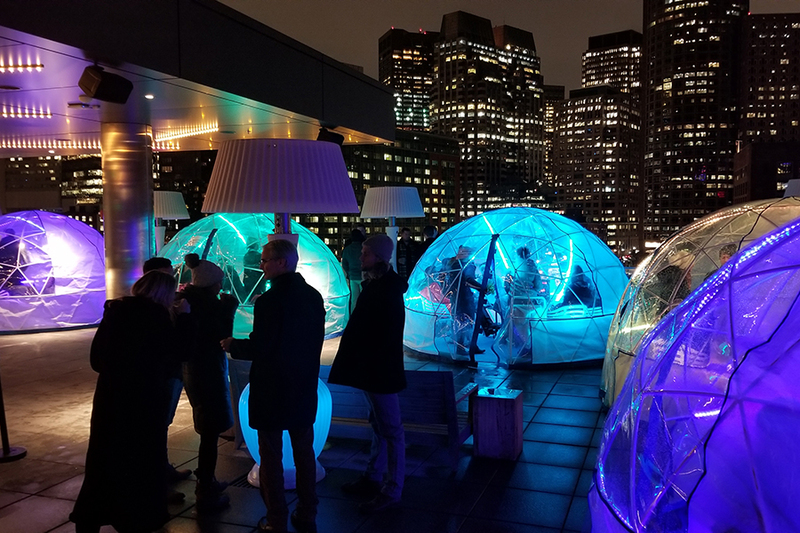 Year-round, this Seaport hotel has picturesque views of Boston Harbor from its seven-story roof deck—and again this winter, there are a half-dozen “igloos” up there from which to enjoy the scene. Master mixologist Brian McDougall has a menu of specialty cocktails on the menu in the heated huts, which are open for walk-in guests and reservations on Wednesday-Saturday nights through the season. Up to 10 people can fit inside each igloo, and each one is stocked with fleece blankets for extra coziness. There is no food available to order in the igloos, but there is a minimum spend required to reserve one for a group, so be prepared to get toasty. The Lodge at Publico returns this winter. Back for its second winter, the Lodge at Publico brings après-ski vibes to South Boston. The retractable roof over Publico’s year-round atrium is closed, and the fire pits are roaring every weekend. 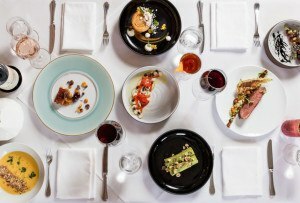 Executive chef Joel Howard has a lodge-inspired menu with bites like Alpine arancini with truffle aioli, and “Steezy” sliders topped with Vermont cheddar; plus co-owner and beverage director Teodora Bakardzhieva has new seasonal drinks, including vodka-spiked hot chocolate, and shot-skis. 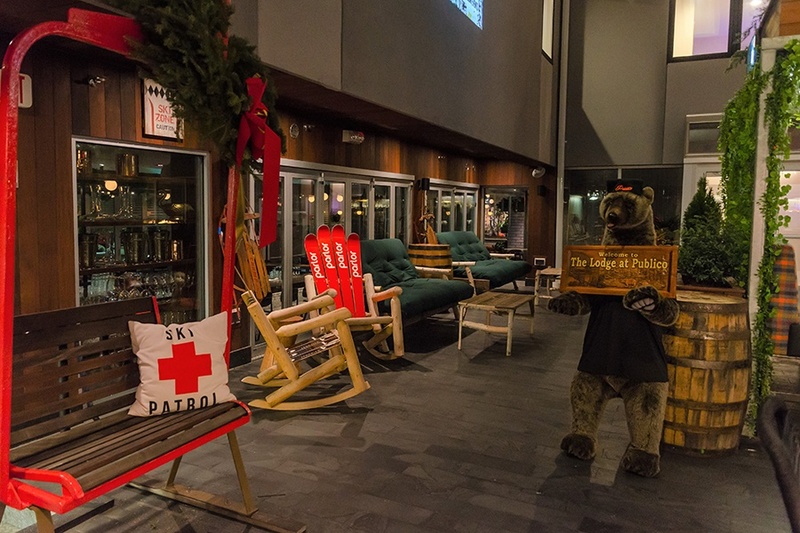 Of course, Instagram opportunities abound, from snuggling up with oversized flannel blankets and plush pillows, to taking a seat on the vintage chairlift and posing with resident bear Publico Pete. Fridays 4 p.m.-1 a.m., Saturdays and Sundays 11 a.m.-1 a.m., 11 Dorchester St., South Boston, 617-622-5700, publicoboston.com. 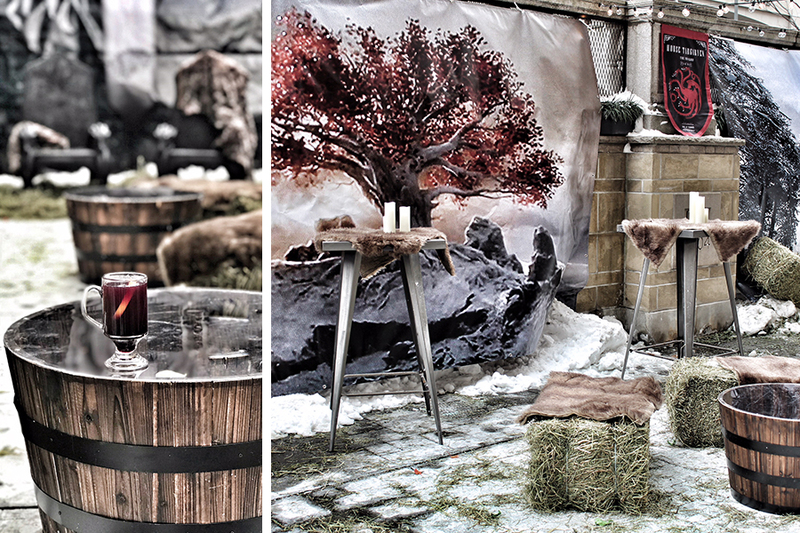 An outdoor patio in Bay Village is once again transformed into Westeros, as the Loews Hotel restaurant offers a Game of Thrones-inspired dining, drinking, and selfie-taking experience from January 11 until Friday, Feb. 1. The #PrecinctPopUp is complete with wearable furs and other décor, and menu specials like the Mountain, a 32-ounce tomahawk ribeye for two served with grilled white asparagus, fondant potatoes and red chimichurri; and Dracarys, a cocktail made with Flor de Caña 4-year rum and muddled dragon fruit, can be ordered both inside the restaurant and on the patio. Plus: A first this year, the hotel is getting in on the fun itself with the Night King package available from January 11-February 2. 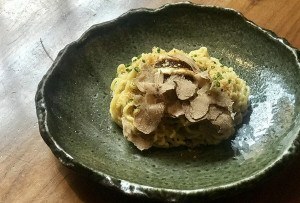 154 Berkley St., Boston, 617-532-3827, precinctkitchenandbar.com. This Watertown restaurant is making use of its year-round patio with a weekly, Bavarian-style rendezvous. The new series, created by manager Kyle Brosshardt, highlights Branch Line’s quirky-yet-considered beer list in a festive atmosphere. Alongside ever-changing draft and packaged offerings, there are special $28 pitchers of Jack’s Abby House Lager and Rothaus Pils. The event will also feature snacks like German sausage, soft pretzels, and country pâté, and live entertainment. The series kicks off January 16 with Stump Trivia from 5:30-6:30 p.m., and live music by Roxxi Jaxx beginning at 7 p.m. No tickets or reservations necessary for this pay-as-you-go party. 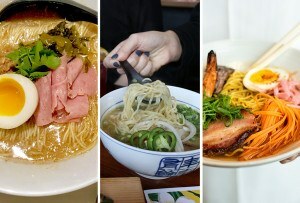 Wednesdays January 16-February 27, 4:30-9 p.m., 321 Arsenal St., Watertown, 617-420-1900, branchlinearsenal.com.